Where to for a weekend? This tame, we made a trip to Sabac. 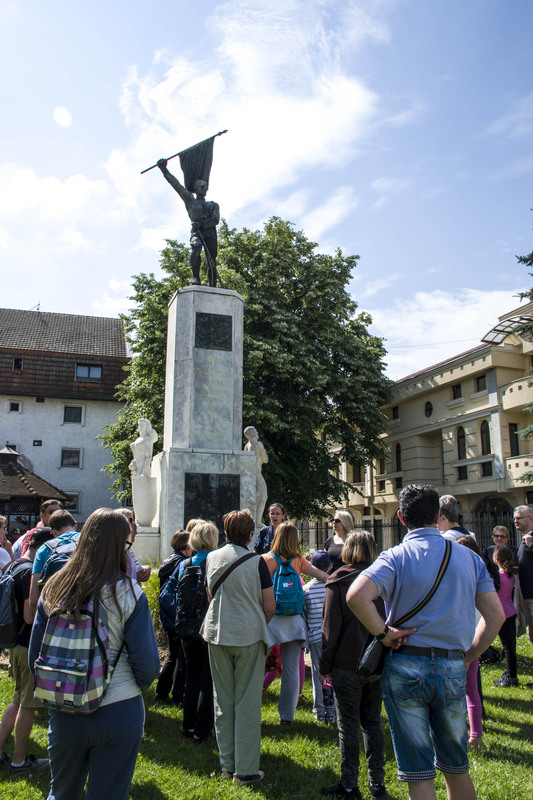 The idea of this trip and outing to Sabac was to drag the teenagers away from the city heat, and draw their attention off their cell phones, computers and tablets, to something new and different. It wasn’t an easy task convincing them to leave their gadgets, so I had to use some cute little tricks. On the other hand, it is unreal to expect their full attention all the time, but I thought at least something of that whole story would remain in their heads. The motivation went along with the bribe. Today, kids are taught corruption from an early age, and in their lifetime, they either master it, or they become a complete failure. What is essential for a trip is a great plan, an effective waking, someone who knows the location, or at least Google, and if you’re taking a teenager with you, you’ll need bribe and of course, a pub, where everything starts and finishes. With or without a tour guide? When I pick a location and try to google something online so that I could come up with a plan, it happens that I cannot find anything systematical. However, there’s not always everything on Google, and I feel stupid just aimlessly wandering through a city and blankly staring at the buildings, not knowing the story behind them. In those situation, a question raises- to have or not to have a tour guide with you? That is not a cheap entertainment, but in cooperation with someone, even a tourist agency, it can hit the spot, and in cooperation with the mountaineering union, it is also the cheapest way. 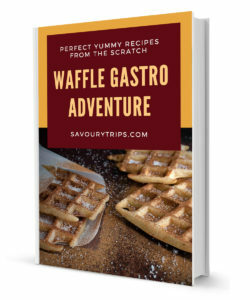 When I travel somewhere without a plan where to go, what to see, where to eat etc., I don’t even remotely have such a good time as I do, when I prepare a little bit. If the trip is planned thoroughly, even visiting the simplest place can be very interesting and unforgettable. Two to three hours is enough to visit Sabac, but then there’s the question of what to do next. I asked Google, neighbors, and made a rough sketch of one-day outdoor activities. Of course, you should always include a pub for a break. Thank God, there’s great food everywhere in Serbia, so the flavors from the trips are more than great and spicy. Our trip didn’t end in Sabac, but we had planned a visit to Zasavica, as well as Aqua park in Bogatic, for our weekend in Serbia. I have now revealed my bribery secret called the Aqua park. Truth to be told, I thought there were some slides, but unfortunately, there were only the ones for small children, and some were out of function. Where to for the first morning coffee? We started our trip before we had the obligatory first morning coffee. Hence, after travelling down to Sabac, the first thing we did was ran to get coffee and some refreshment in the Sloboda hotel. It is bright new, shining like the sun, even though it was in shade. You simply cannot believe you’re in Sabac. Hurray for Sabac! 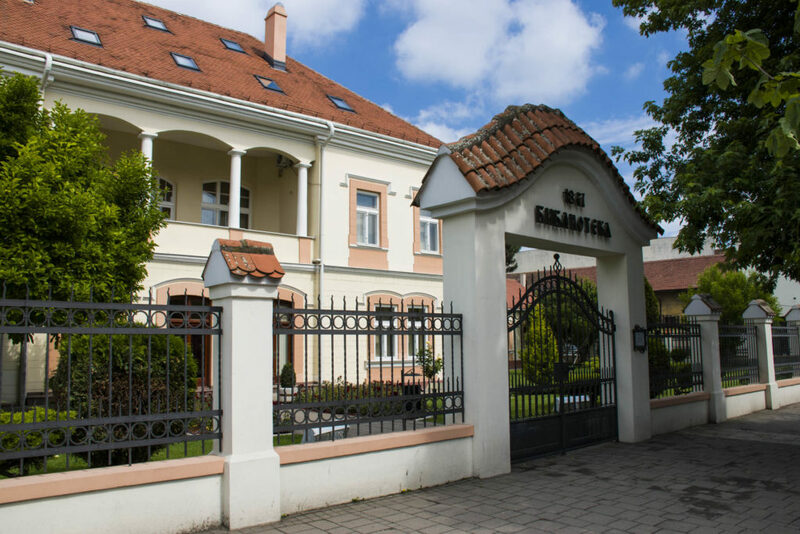 However, if you decide to remain on your trip and vacation in Sabac for more than a couple of hours, you can certainly find some royal accommodation nearby the hotel Sloboda, or if you want to feel more at home, then your choice should be Venera apartments. And there they are, the sleepy teenagers, always a smile on their faces. 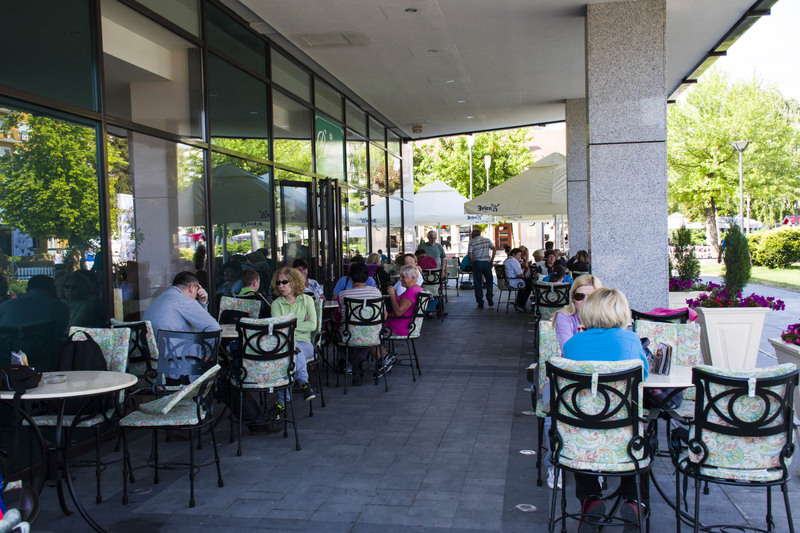 We filled the entire café garden. Immediately after we had drunk coffee and finally woke up, we’ve started to gather the historical information about the city of Sabac. 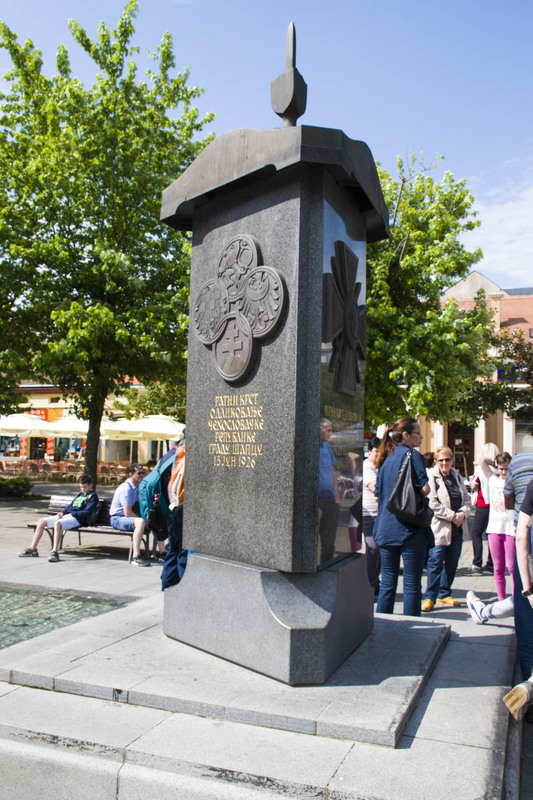 In the immediate neighborhood of the hotel, there’s the first town site, a monument of the war decorations. A French War cross with a palm tree, awarded by the Republic of France, on the 8th of July, 1920. A War cross of Czechoslovakia 1914-1918, Sabac was awarded by the Republic of Czechoslovakia, on the 13th of June, 1025. Karadjordje star with swords of 4th row, the most significant order in the Kingdom of Serbia, received on the 3rd of June, 1034. This is a monument for all three of them. Here are teenagers too, not very interested in the monument, yet, listening. The old bones had to have some rest. Down the street, and then taking the left turn, there is a church porte of Saint Peter and Paul Church. Saint Peter and Paul’s church was initially a small cabin in a very bad condition. As Sabac is a city of Jevrem Obrenovic, upon his arrival, a church ‘worthy of his city’, as he used to say, began to be built. 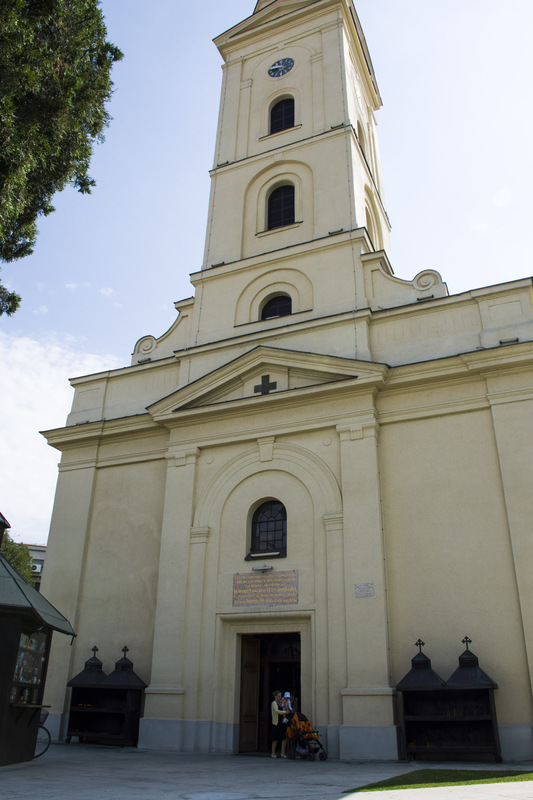 This, contemporary church was built in the period from 1826, to 1931. The church’s bell tower was built for eight years, three times destroyed and completely rebuilt. 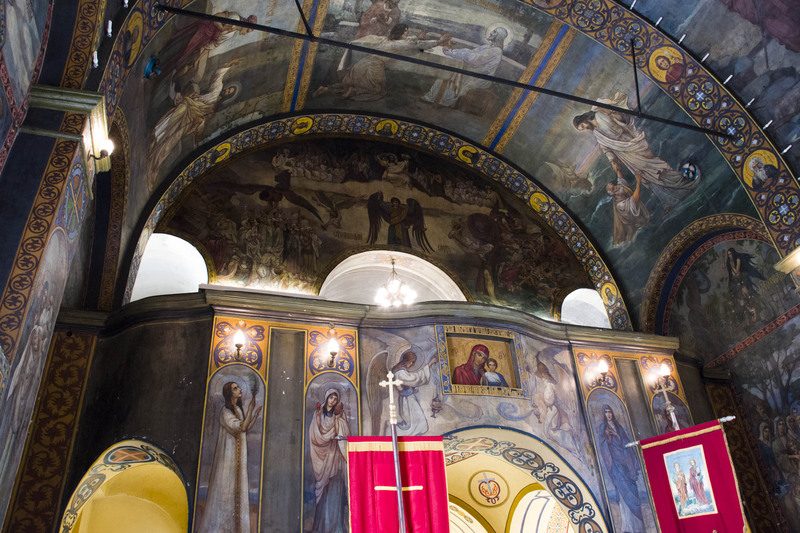 There was a historic event there, destroy than rebuilt, over and over again, as if it wasn’t good enough… Church was painted by Pavle Simic, one of our painters, upon the building of iconostais. When Austro-Hungarians arrived to Sabac (WWI), Serbian people believed that solders from developed countries came and that they wouldn’t do any harm to the people. However, the story of the Autro-Hungarians wasn’t at all that sweet. They imprisoned three hundred people from Sabac in the church (the rest of them were imprisoned in pubs or hotels). The prisoners couldn’t set foot outside, they had to do all their physiological needs in the rooms in which they slept. They were tortured, weren’t allowed to eat or drink, and then they were murdered. Around hundred and fifty-seven killed people were buried in the place where today there’s the Monument to a Serbian solder. 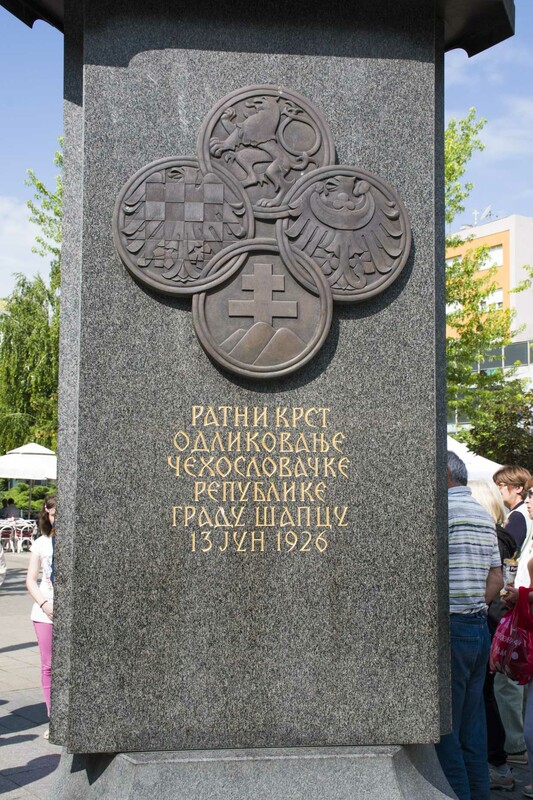 Famous people from our history who were buried in the church porte are father Luka Lazarevic, the closest cooperator of Karadjordje, and Ilija Grujic, the first Minister of Justice in Serbia. Karadjordje taught him diplomacy in an interesting way, by the principle ‘the beating stick came from heaven’. It is said that Karadjordje would beat him whenever Ilia used his name for personal gain. Primary School in Sabac was built in 1860 in the churchyard, but it was completely destroyed. Next to the churchyard, there is Home for pupils’ accommodation. Who attended Sabac high shcool? Sabac high school was built in 1857, and it was expanded in 1890. 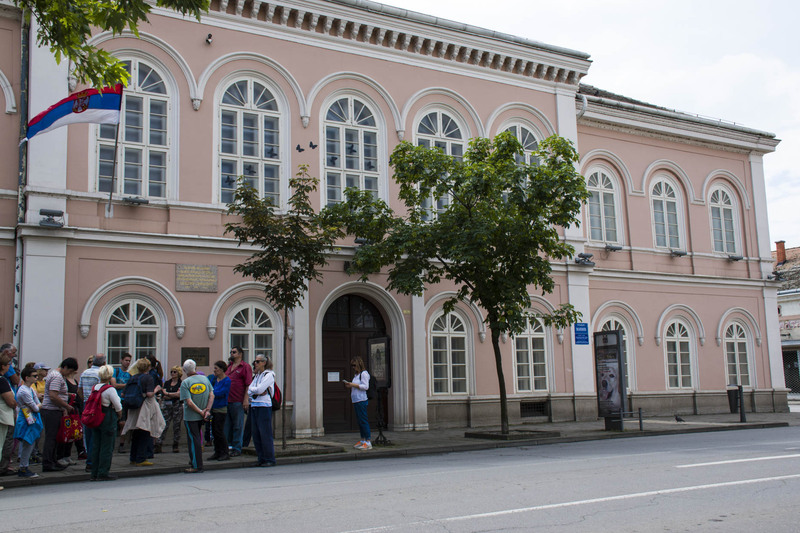 Today, within the building, there is a museum, for which it is claimed to have the best repertoire in Serbia. Unfortunately, I didn’t visit it that day, but the tour guide recommended visiting it. What is interesting for the Sabac library is that during its building no metal nail was used, just the wooden ones. The main, and highly important street in Sabac is Gospodar Jevremova street. 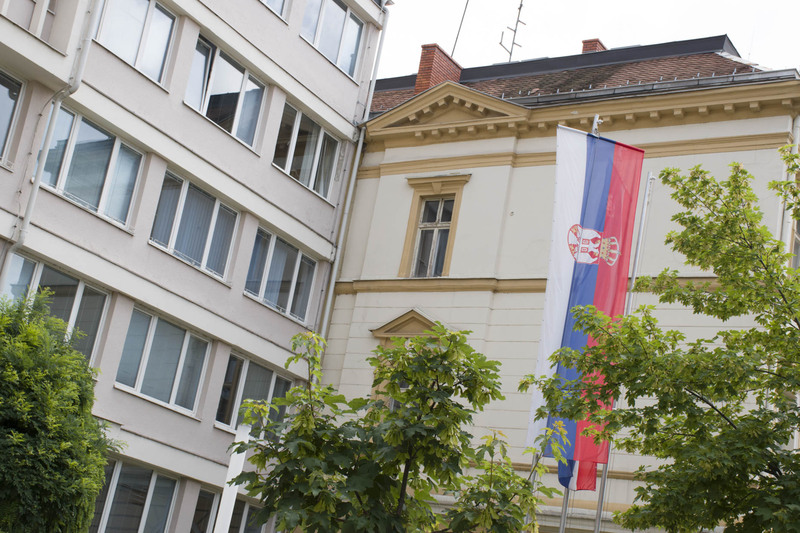 In that street, there are following buildings (which we just glanced on our way): Prefect of Podrinje county (1906), County court (1907), the House of Sabac’s trade youth (before WWI), The first house od dr. Andro Jovanovic (end od 19th c), the Building in Gospodar Jevremova 13 (end of 19th– beginning of 20th c), the House of Pavle Stanic (beginning of 20th c), the Building of the First national pharmacy (1928), the house of Lazar Petrovic (between WW’s), Krsmanovica house (1891). 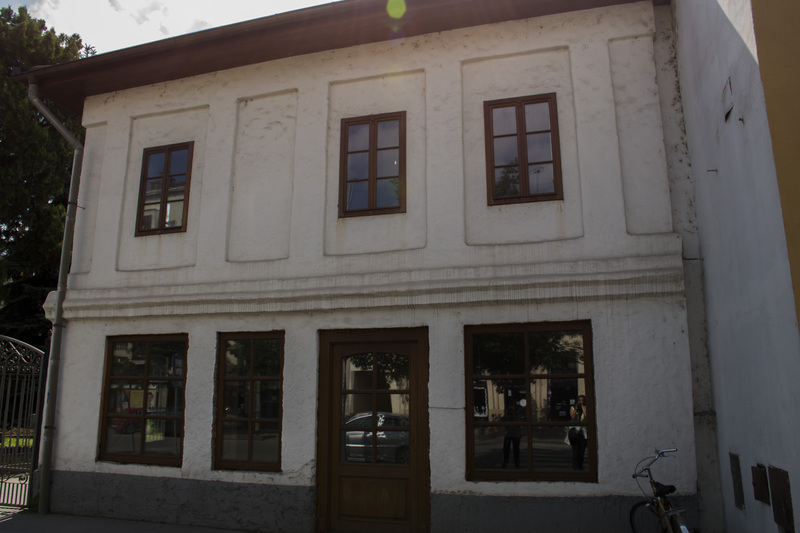 Immovable heritage: The building of prefect of the Podrinje county (Today it is the building of the town’s Internal Affairs Secretariat), building of the County Court, house of Pavle Stanic and the building of the First national pharmacy . 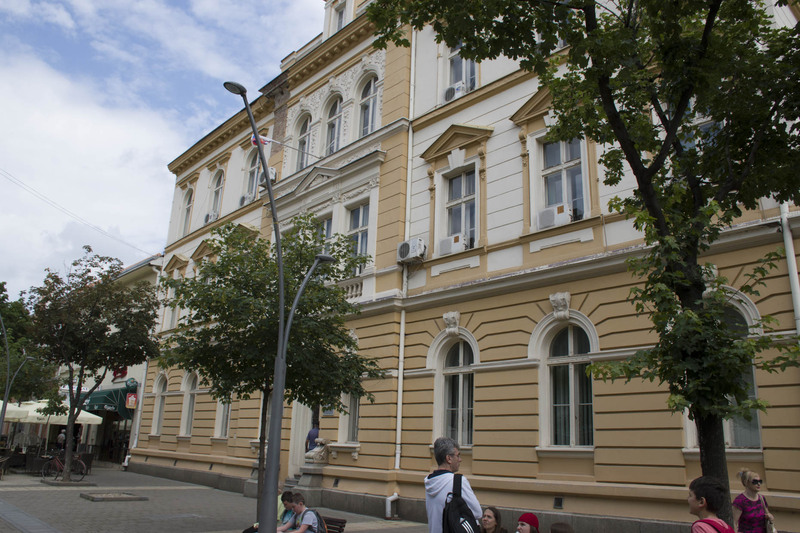 In the place of today’s MUP, borough, and prosecutor’s office, there was once billet in Sabac, very similar to the one of princess Ljubica. 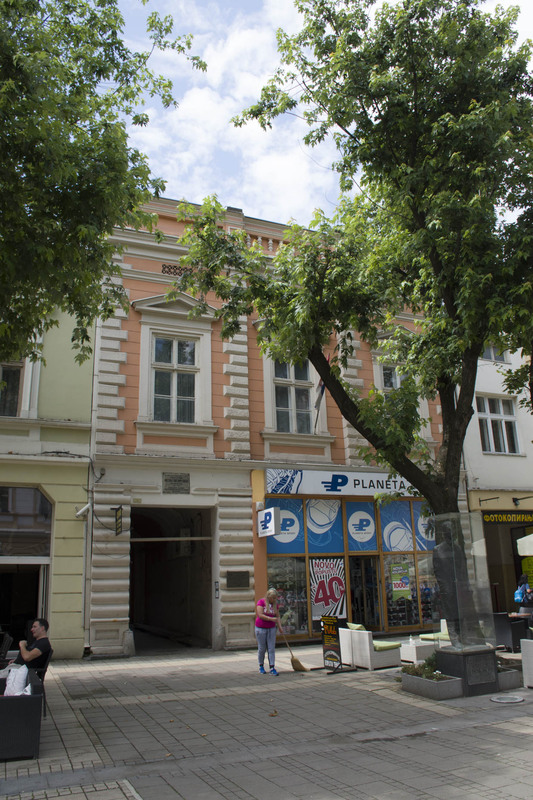 It was built by the same Jevrem Obrenovic after which the main street in Sabac got the name. The billet consisted of 9 rooms and 2 saloons. One saloon was in European style, and the other Oriental. Depending which political officials he would greet, he used one or the other saloon. There is the house of Laza Lazarevic in the main street (they clean in front of the house on the regular basis, which is praiseworthy) and his monument, too. How (un)musical people in Sabac are? They are very musical indeed. If you’re young, energetic and love music festivals, you should visit the Sabac music festival which takes place in Sabac fortress. This manifestation is traditional since 2003. One of the those who organize the Sabac summer festival is MTV, the best known music channel in the world. This is what is was like this year. During the summer, this is a great trip for the young. Where to find best food in Sabac and neighborhood? The highest cultural institutions in the Serbia back then started from pubs. 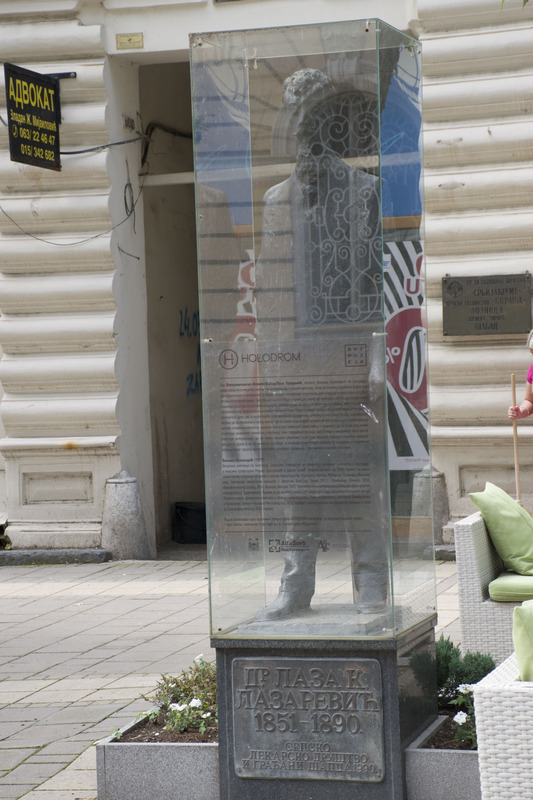 Consequently, a pub is considered to be the first cultural institution in Serbia. School, library and highschool in 1837 (lower Sabac high school), and a museum were created from pub. One of those pubs worth paying a visit to is Cardak, not the one from the song, but the one in Majur.